Hello! My name is Jason, and like so many of my closest friends in life, I am someone who absolutely loves the game Magic: The Gathering. In fact, you could say that my whole life revolves around the game! I am the co-founder of a local game store, and as such, most of my professional life involves introducing potential new players to what I firmly believe is the greatest game ever created. Long before I ever dreamed of quitting my day job to open up a game store, I was a Magic player. 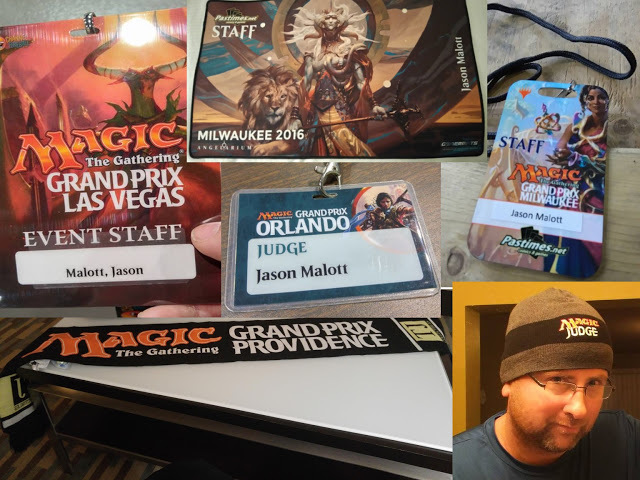 After a few years of playing Magic, I put in the work required to become a Magic Judge c and since then, it has changed my life in so many wonderful ways. Fast-forward to today: I am now a Level 2 Magic Judge and someone who has enjoyed the many benefits that being a Magic Judge can provide. I feel that the greatest benefit I have personally gained from my journey as a Magic Judge so far has to be the ability to travel the world* and visit places that never would have been accessible for me otherwise. *Well, North America, at least — but other continents are definitely a possibility in my future! Getting accepted to judge at Grand Prix Providence 2016 was a really big achievement for me. It would be the first Magic event that I would fly to as a Judge. Luckily for me, I already knew several other people who were Magic Judges and who also like to travel to large events, and I was able to travel with a Judge-friend, which took away almost all of the stress of planning our trip. 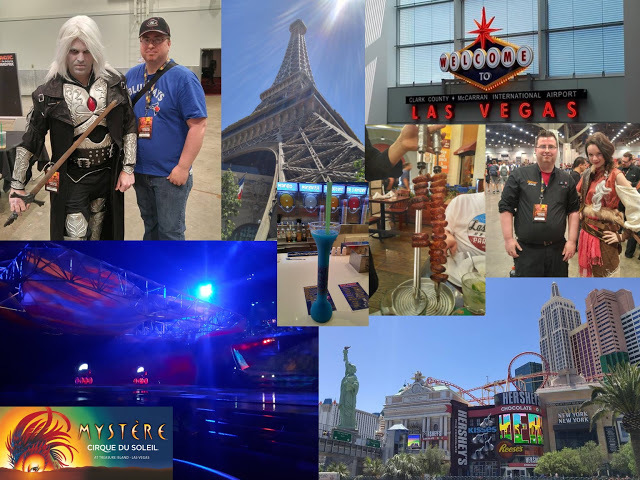 In the time since that Grand Prix in Providence, I have flown to several more Grand Prix events across North America, including my most recent trip to GP Las Vegas 2018. 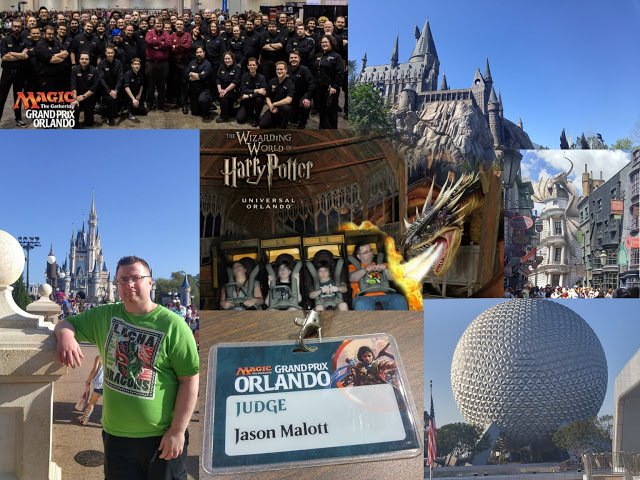 With a couple of years of accumulated travel experiences under my belt, I wanted to take a moment to share some insights I’ve gained and share some of the reasons why I believe that traveling to judge at large Magic events is one of the best opportunities we can ever be given. Traveling for judging can be a great way to subsidize the costs of adventuring around the world. During Grand Prix Las Vegas this year, I spent my Thursday working on a team with Klaus Lassacher , a Level 2 Magic Judge who had came to GP Las Vegas all the way from Austria. I had recognized Klaus from Grand Prix Toronto earlier this year, but a quick glance at Klaus’ history of events shows me that in just the previous six months, he had been on staff at events all around the World, including Canada, the United States, England, Italy, Spain, and many other European countries. Me: What’s the one thing you would want to tell other judges who may be considering traveling to judge at a far-away event for their first time? Klaus: Just do it. People can imagine so many things that may go wrong when they try something new, but those things almost never happen! Traveling to judge is amazing; you have to try it. In the time since I first began traveling for judging, I’ve been lucky to build friendships with some of the best judges you could find. I wanted to add a little extra insight from one of those judges whom I deeply admire and respect — Megan Linscott , a Level 2 judge from Maine, USA. Me: How many events would you estimate that you have traveled to for judging? Megan: All the large events I’ve judged have been out of my area*; it’s a necessity for me if I want to work them since we don’t get anything big in Maine. 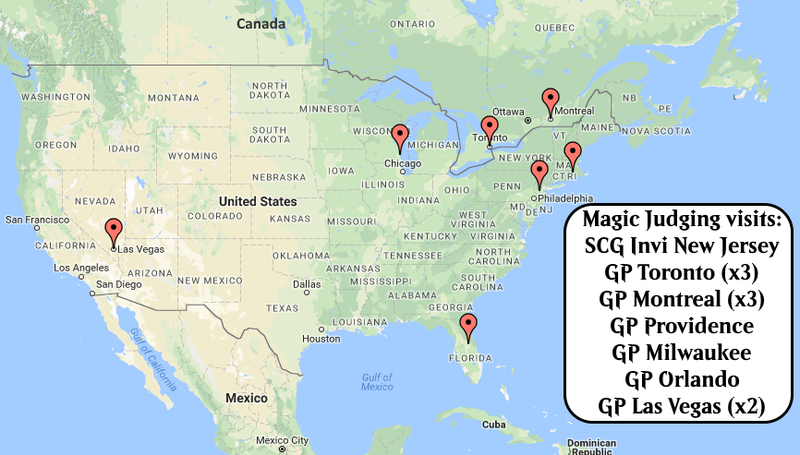 I’ve done a bunch of GPs and SCG events. Usually, I do the ones close enough to drive to, but I’ve flown for a few. *A quick glance at JudgeApps lists over 40 large events already for Megan! Me: What do you feel are the best reasons/perks for people who travel to judge? Why do you keep doing it? Megan: I love traveling anyway, so having an excuse to go to new places regularly is great. I keep doing it for the people, though. I’ve made friends with judges and players from all over the world. Me: Any advice for people who may be considering applying for their first far-off event? What would you say to someone who is unsure about taking the leap? Megan: If you’re nervous about the planning or the travel, go with a buddy. Having a familiar face in a new place helps a lot. Don’t ask them for a job because you want one. Sell them a useful and hard-working person because they need one. Focus on your strengths. If you are very detail-oriented, mention that. If you have a great memory and know a ton of corner case rules interactions, let them know. If you work with the public in your full-time career and have good customer service skills, definitely let them know. Explain in your application as many ways as possible that you will be able to help improve the event, even if you’re also gaining your first large-event experience. Oh, and let them know that you like picking up trash and pushing in chairs. Trust me, that’s an asset. I find that my judging adventures are far less stressful (and therefore, far more fun) if I put a little extra thought into my planning process. A good example would be my recent trip to Nevada for GP Las Vegas this year. I knew that the Grand Prix was scheduled for the middle of June and that being in the middle of a desert in June would make for some days with uncomfortable heat. 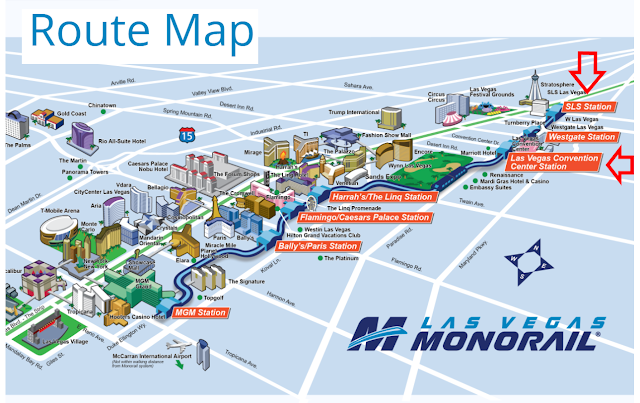 I planned to minimize the amount of time I would have to spend outside while going to and from the GP by selecting a hotel to stay at that was conveniently located on the Las Vegas Monorail. I ended up booking a stay at the SLS Hotel and Casino, and it was a great decision. The SLS was cheaper to stay at than the hotel block of rooms reserved for staff at the Westgate, and my travel time was still super short each day. The monorail trains themselves are air-conditioned, and with a monorail station attached to our hotel, it made for a quick and easy 5-10 minute ride to the venue (the Las Vegas Convention Center) each day. Websites such as Expedia and Travelocity can help you book your trip with some convenient all-in-one online shopping. A friend of mine swears by a phone app from Skyscanner. Protip: Many judges prefer to use the same service to book all of their trips whenever possible in order to earn ‘status’ with that service and the perks that status can bring. For that same reason, people will also often times book an airfare with their preferred airline even if there is a comparable flight for less with another competitor. Your mileage on this will vary depending on whether you become a frequent traveler or not. I find that airline ticket prices tend to fluctuate a fair bit, and if you wait too long to book your flight, you can end up paying a lot more for airfare than necessary. For optimal results I try to book my flights 6-8 weeks ahead of time if possible, but I generally follow a ‘the sooner, the better’ philosophy. Protip: Travel with friends to reduce costs! Many judges will often split hotel accommodations in order to make trips more affordable. Four people to a room has been my personal limit, but I have heard many stories of judges who have slept on couches, rollaway cots, and occasionally even the floor of a hotel room in order to save some extra cash. For me, personally, I have broken even on the cost of some of my trips just by splitting a room with one or two other travelers. Make your visits to new cities around the world for judging into an adventure! Every city that hosts a Magic Grand Prix is filled with fun attractions to discover. At GP Montreal 2016, I spent my weekend judging the main event each day and traveling with friends to a different escape room somewhere in the city each night. At GP Las Vegas this year, I worked three afternoon shifts on side events, and then had all Sunday off to enjoy the fun of Las Vegas. That meant a day filled with grown-up drinks while walking the Strip (the slushies are awesome!) followed by an all-you-can-eat dinner at a Brazilian steakhouse (it was an absolute feast) and an amazing evening with front row seats at Cirque Du Soleil! The fun never stops in Las Vegas! A must-visit city for anyone who hasn’t been there. A weekend away in Orlando can lead to memories that last a lifetime. Keepsakes to remember my many adventures. Earlier in this blog post, I said that being able to travel the world has been the greatest benefit I have gained from judging. Now that we are nearing the end of this post, I’ll be honest and tell you that there was something I left out in that statement. For me, the greatest benefit I have been given has been the amazing friendships I have built with so many spectacular people — people whom I would never have met without traveling to large events. 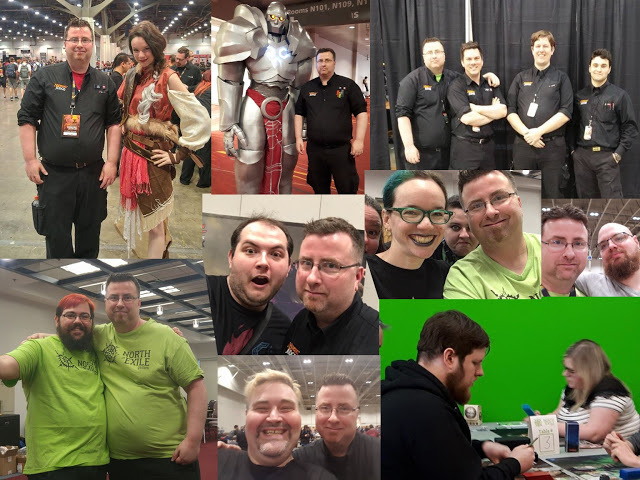 I have found that almost every person I have worked with at large Magic events across North America has been absolutely outstanding, and I feel very blessed and honoured to consider them both peers and friends. A small sample of the many amazing people I count as my friends…and Karn. If you haven’t yet taken the leap to some fun and far-off city for a weekend of judging, I strongly encourage you to do so. The friendships you’ll build and the memories you’ll make will last a lifetime. And who knows? Maybe we’ll even get to be on staff together someday, and we can trade stories about our favourite Magic adventures. This article was made possible in part thanks to the Canadian Regional Enrichment Sponsorship.